blog.HalloweenAdventure.com | Latest News from the Costumes Trend FrontLines! : Little Ones Can Have Fun Too! Little Ones Can Have Fun Too! Often, the littlest ones are neglected on Halloween. You might put some antennae on their head and call them a bug, or dress them in orange and claim they’re a pumpkin. This Halloween, get your costume from Halloween Adventure. We have a wide variety of fabulous costumes for your little ones, so that no member of the family is left out on this fun holiday! 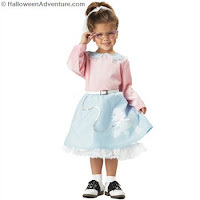 Little ladies will adore our 50s Poodle Cutie Toddler Costume. The 50's Poodle Cutie costume includes: pink & blue dress with attched crinoline and white lace trim, white belt, and white scarf. Shake it up baby, shake it up baby, twist and shout! Twist and shout! Strapping young gents will get their patriotic game on in our Air Force Uniform for Toddlers. We don’t recommend letting them fly this early, but there’s no harm in putting on the costume! Includes flight suit and cap. 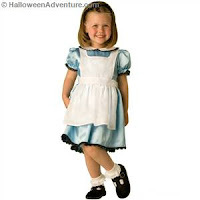 Girls can go down the rabbit hole with our Alice Toddler Fairytale Classics Costume. This adorable outfit will have you chasing the white rabbit and clammering for teacups in no time! Includes a blue satin dress with attached apron, and black headband. 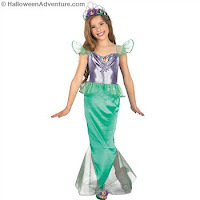 Enjoy some time under the sea with our Ariel Standard Toddler Costume. This dress includes a bodice with shoulder straps, skirt, and an attached cameo is also included. This costume is a great addition to a group costume of all the Disney princesses. Send them off in style in our Army Uniform for Toddlers. This full-out camo outfit prepares him for the great outdoors and does so in a way that’s totally fashionable and just a little bit badass. For more costumes for toddlers, check out our online catalog!